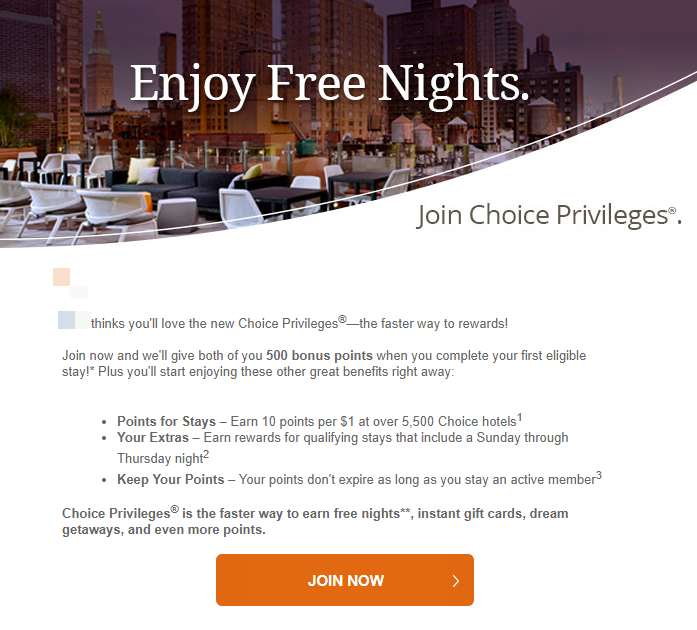 Choice Hotels is a hotel chain, that provides lodging through many locations across the country. 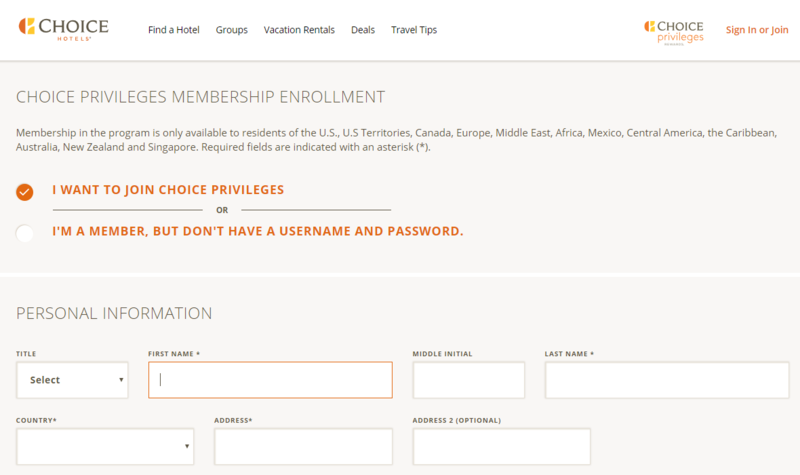 Some of their popular hotels include Comfort Inn, EconoLodge, and Comfort Suites. 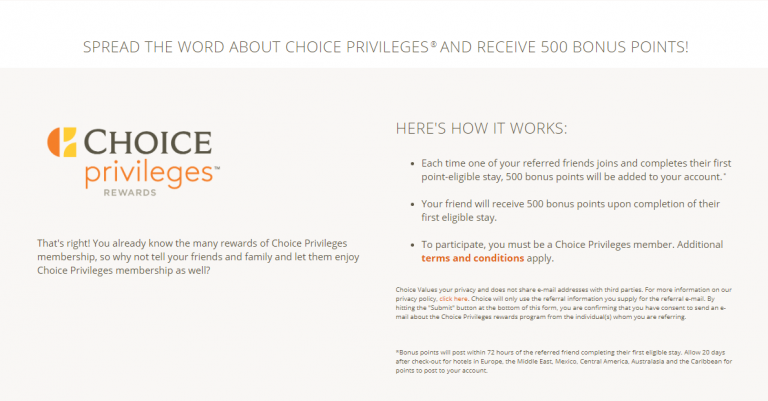 Despite offering double-sided rewards to entice participants, Choice Hotels’ referral program is difficult to find and poorly promoted. 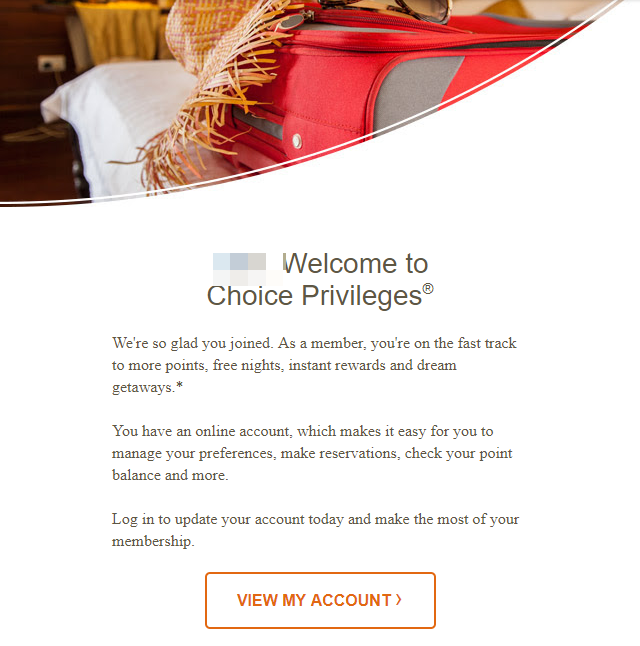 With the only sharing option being a limited Email form with no customization, this program does not take advantage of the full potential of their customers’ personal communication channels. As a Choice Privileges Member, this double-sided reward program offers 500 bonus points upon completion of the referral’s first point-eligible stay.